Imagine growing your business by becoming an expert on gut health. By now, we all know that all health begins in the gut. In fact we are seeing the connections to illness and health by looking at digestive function. What does Digestion have to do with WHAT my clients are dealing with? EVERYTHING! 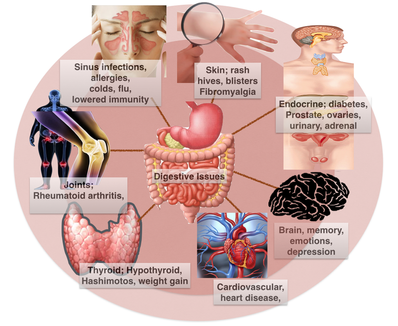 More than 64 million Americans suffer with digestive diseases; another 50 million have autoimmune disease. Almost everyone who eats the standard American diet has some sort of a health issue going on. In fact, if you look at what most people are dealing with today and the increase in digestive health problems you will notice they go hand-in-hand. ﻿How does digestion help me grow my business? I'm glad you asked! Because it has EVERYTHING to do with growing your business. In the medical approach Doctor's treat the symptoms but never address WHY it was happening in the first place. The patient feels great for a little while and then they are back at the Doctors for another drug. Did you know that many drugs require increased nutrients? Doctors rarely (if ever) tell their patients this. 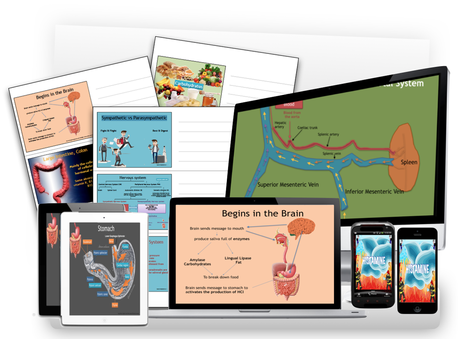 What if you had all the tips, tricks and secrets to understanding how the digestive system worked and how nutrients interacted with the body and could prevent problems before they got out of hand? 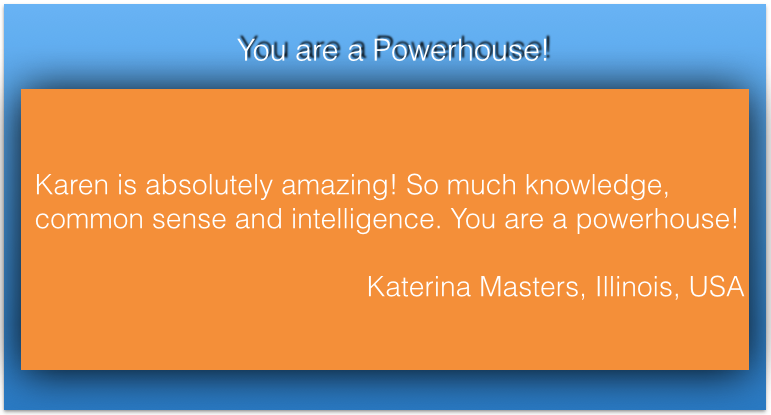 Do you think you could be more effective in your business? This is why you need to become a Healthy Gut Advisor! In this DIY at your own pace program you will learn how every single illness, ailment, syndrome and disease in the body starts with digestion and the interaction of missing nutrients. I am going to teach you the secrets and tools and so much more so that you can truly and EFFECTIVELY help your clients by getting to the root cause so that they can feel and look great and gain more energy! I am going to teach you what the doctors are missing with their patients. Digestion Affects EVERYTHING your client i﻿s suffering from. Here's the thing; If your clients have uncomfortable systems or are dealing with any of these symptoms below, including cancer, then you owe it to yourself to do what you can to help them with their symptoms. health, happiness and wellness for you and your clients. Imagine being able to answer your client’s health questions on the spot without having to find the answer online, bug another expert and wait sometimes days before they get back to you or, try to get a hold of your scientist or health support. This alone can be frustrating. How many times have you come across a potential client with heart disease but lacked the confidence to really help them? How many times have you come across a client that says your supplements make them feel sick and you don't know what to say or do? Or, you get them on the supplements and they don't quite help with everything? How many times have you come across a client with low thyroid and no matter what you do they just can't lose weight? How about clients with headaches, sinus, migraines and low energy, or skin issues? What about those with joint issues or arthritis? You get tired of the "no's," "let me check with my husband," or "let me think about it." I know how frustrating this can be... I have been there over-an-over myself. You are smart, motivated and really want to help others. You love what you do but you just can't seem to hang onto clients or get to the next level in your business. You want to make a difference but you are not keen on being "salesy" or pushy and want to grow your business by understanding more about health. You believe that if you come from a place of helping and healing others your business will flourish and grow. You want to become an expert and feel credible and be talked about as a credible source in your community BUT, you lack the time and patience to spend the next two to fours years in school. You so badly want to increase your cash flow but the client's are just not coming. You feel stressed out, frustrated and you are starting to wonder if you should be doing this at all. You are tired of seeing others make it in your industry and you just want a piece of the dream! You are tired of having to work another job to pay the bills while you dream of one day doing what you love; helping others. Are you Ready to become the Credible Source you long to be? How many times have you become frustrated because you don't have the answers and don't know where to get the answers? How many times have you had a potential clients say "I will have to think about it" because you did not know how to tie in their symptoms so that they would say " Yes, I need this now."? How many times have you lost a client because you just did not know the answers? How many clients have you lost because you just could't give them what they need? What if you knew the secret to this one mineral that could keep them off of prescription medications? How do you think your confidence would flourish? Imagine how that would positively impact your business? 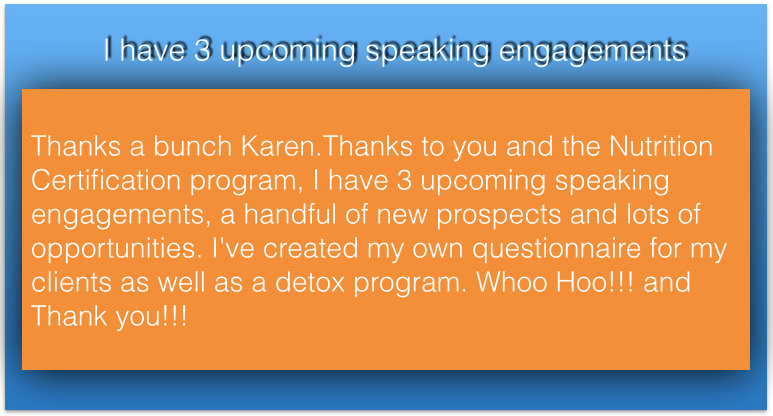 What if you knew the secrets to make such a profound shift in your client's health that they keep coming back for more. And, better than that they refer their friends and family? This is what can happen for you when you become a Healthy Gut Advisor! Are you ready to gain the secrets and tips that can shift your confidence, truly help your clients and grow your business? The Healthy Gut Advisor DIY at your own pace program will teach you how digestion and detoxification work and, how it relates to the illness and symptoms your clients are dealing with. You will be able to instantly incorporate what you learn the very same day! 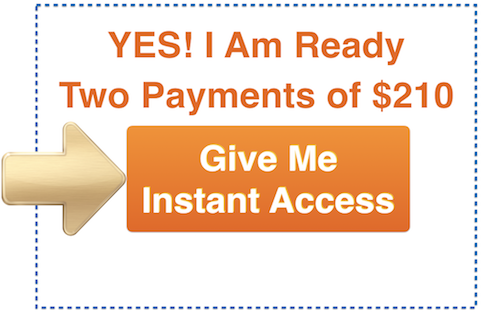 Before I get into what will be offered let me first say that I created this program to be super easy! AND I MEAN EASY! Is this course for me? I really do not know anything about nutrition, digestion and detoxification. That is the beauty of The Healthy Gut Advisor DIY at your own pace. There are no requirements and no previous experience needed. 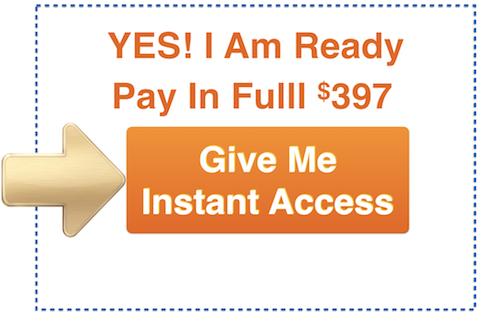 I am going to teach you from the beginning in an easy and understandable format. And you will have easy to implement tips, and secrets that will instantly make a difference for your clients. You will also be able to finally ask the right questions to really solve your clients issues. And, you will gain amazing confidence and become the expert you are meant to be. What to do when vitamins, fish oil and probiotics react with your client in a bad way and the right questions to ask to keep them not only buying your supplements but respecting you as the problem solver. Basically we will begin with taking that first bite of food, what happens from the mouth all the way to releasing the poo in the loo! This is what we call healthy digestion…. But who has healthy digestion right? This is when we will dive in deep and learn what happens when digestion off. You will learn what happens when a client is missing a body part like an appendix, gallbladder, ileum or ileocecal valve and how that will impact your supplement, nutrition and lifestyle recommendations. What happens when their is a deficiency of certain nutrients and how that can translate into illness, syndromes and disease including cancer. You will learn what happens when vitamins, minerals and other essential nutrients become deficient when digestion is off and how these deficiencies along with "liver lethargy" may be affecting the health of your client. And many other nutrients as well as what happens when these are below normal. You will learn how to effectively reverse your clients gas, bloating, diarrhea constipation and other rumbles and bubbles they are dealing with including digestive disorders such as IBS, Crohn's Colitis, GERD, and Acid Reflux, anemia, low energy, high blood pressure and high cholesterol levels and so much more. 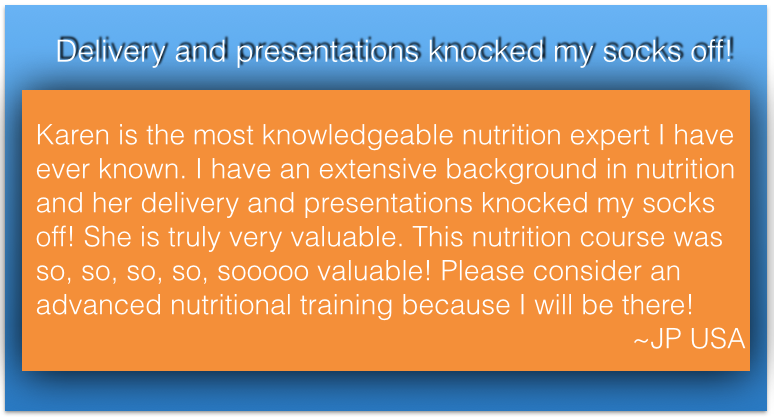 You will learn about nutrition and what is effective for supporting digestion and detoxification and tons of other solutions to keep your clients coming back to you for more! We will cover how to support your client's needs and finally have the answers your clients have been looking for. Whether you use Network Professional products, Health care Professional supplements, suggest over the counter supplements or, have no idea what supplements to recommend I am going to teach you the foundational supplementation that every one of your clients needs to be on to effectively support digestion and reverse some of their symptoms. It does not matter what the product is; we are going to explore the ingredients that are crucial to your client's health and wellbeing. You will also have a Questionnaire template so that you can ask the right questions to effectively help support your client's health. 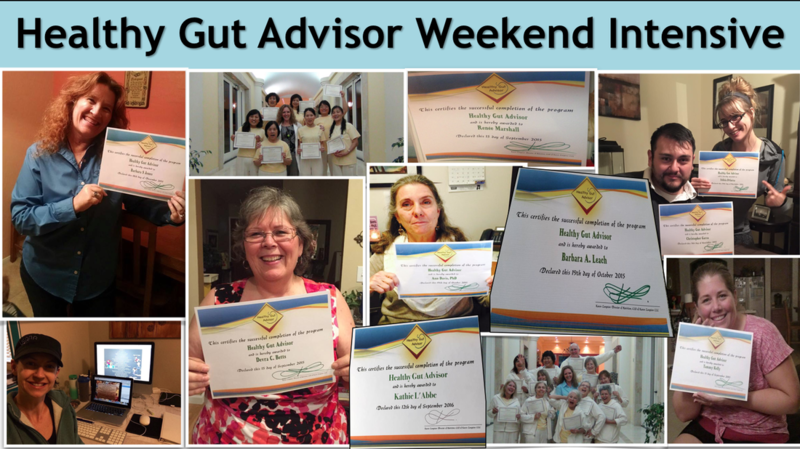 The best part about Healthy Gut Advisor Weekend Intensive is you can implement what you learn immediately! Once you are finished the modules you are already telling your clients how to increase their energy and decrease symptoms...AWESOME!!!! You will know the all the tips and secrets to make such a profound shift in your client's health and energy that they will keep coming back for more over-and-over. ​*You must complete the 6 very easy to do quizzes; then your certificate will then be emailed to you. *Once you have completed your Certification (quizzes are done and I have emailed you your certificate) you will be invited to join the Healthy Gut Advisor Private Facebook Group. It is a great group full of awesome conversations and questions! My intention is to help you grow your business by understanding how the body works and how nutrition plays a role in optional function of the body. As much as I wish I could wave a magic wand and make you rich I can not do so. There is no 100% guarantee that you will earn any money using any of the information or ideas in this program or any other program created by myself and my team. I will always provide you with real life examples however, each person and their circumstances are unique and can not be interpreted as a promise of guarantee of increased business and success. 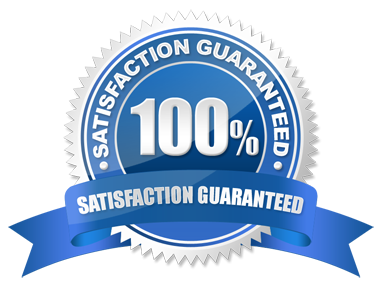 No guarantee is made that you will achieve any result at all from our work together. 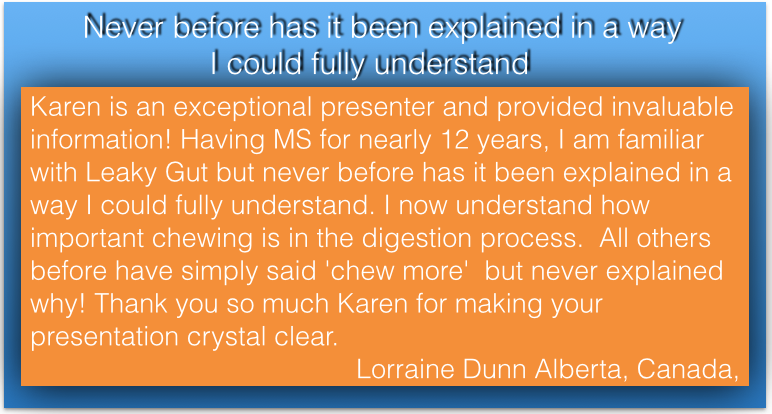 The entire contents of the Healthy Gut Advisor DIY Program is based upon the opinions of Karen Langston, unless otherwise noted. The information presented is for informational purposes only and is not intended to replace a one-on-one relationship with a qualified health care professional and is not intended as medical advice. If you are taking medication please do NOT stop taking medication. The information of the Healthy Gut Advisor DIY Program is intended as a sharing of knowledge and information from the research and experience of Karen Langston and her community. Karen Langston encourages you to make your own health care decisions based upon your research and in partnership with a qualified health care professional. While the information found in this presentation is believed to be sensible and accurate based on Karen Langston’s best judgment, viewers of the program; videos, and related content who fail to seek counsel from appropriate health professionals assume risk of any potential ill effects. The advice is generic and not specific to any individual. 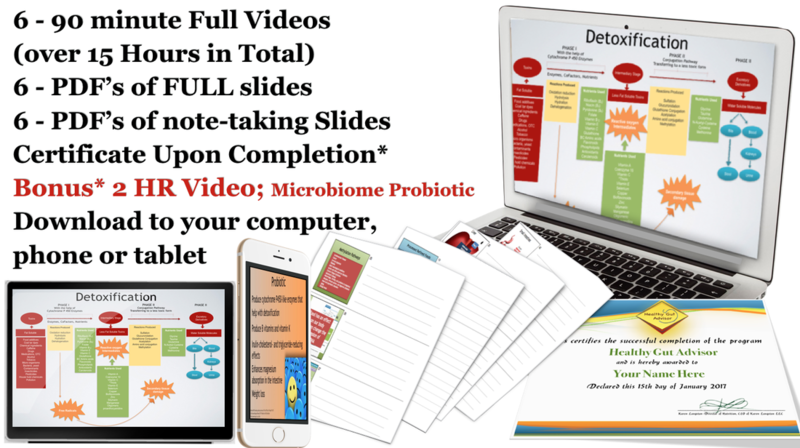 Karen Langston cannot take responsibility for the information presented in the Healthy Gut Advisor DIY Program that you share with your clients, family or friends. If you consult or work with clients, you must insist they consult with their doctor before undertaking of any medical or nutritional course of action. These statements have not been evaluated by the Food and Drug Administration. The products and suggestion found in this presentation are NOT intended to diagnose, treat, cure or prevent any disease. The information found in the of the Healthy Gut Advisor DIY Program has not been evaluated by the FDA.